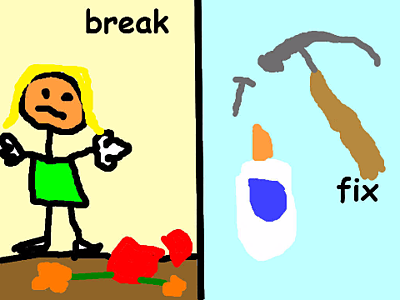 Illustrating antonym pairs, or words with opposite meanings, is a great way to start young learners building vocabulary in Wixie. Students can use Wixie to combine text, images and voice narration to help them better learn and remember new vocabulary (dual coding theory). Many children have enjoyed listening to their parents read Dr. Seuss’s The Foot Book, which pairs opposites and rhyme for early reading fun. Brian P. Cleary also has some great books, such as Stop and Go, Yes and No, that also play with opposites, or antonyms. Read one of these books, or a similar title, to get your students interested in playing with words and more specifically antonyms. Be sure students understand that “antonym” is a term we use when talking about a word with the meaning opposite of another word, such as hot and cold, or low and high. Work as a class to create an anchor chart of opposites, or antonym pairs, they already know. You may get them started by sharing words like new, above, or big and see if they can think of an antonym for these words. Let students know that they will use Wixie to illustrate a pair of opposites to help others learn, spell, and remember new vocabulary words. 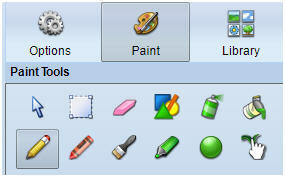 Have students log in to their Wixie account and start a new project. Students can then click the Text tool on the toolbar to add and type in each word and place them on opposite sides of the page. 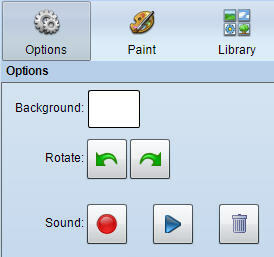 Click the Paint panel and use the paint tools to illustrate the antonym. If student devices have microphones, have students click the Record button at the Options panel to correctly pronounce the antonyms or even use them in a sentence. Once students have completed their individual pages, use Wixie's import pages feature to collect all student work into one file before publishing. Then, print or share them electronically so that other students can also learn from them. Print the Wixie projects at full-page size to hang around your classroom. 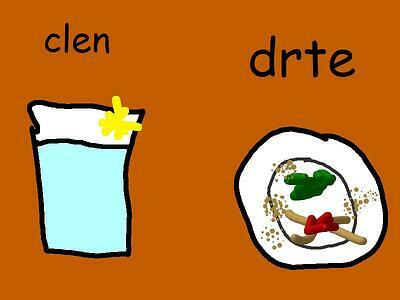 You can also make flash cards by printing student Wixie pages at trading card or postcard size. Open the file with all of the collected student pages from your teacher account and run as a slide show to review as a class or show off at an assembly!